The high-profile story of a Dublin hotel banning "all bloggers" after a social media star asked for free accommodation points to the continued need for influencer marketing to mature, according to PR professionals. The story, widely reported across the media, centres on UK-based Elle Darby, who emailed the owner of The White Moose Café, saying: "I work as a social media influencer, mainly lifestyle, beauty & travel based. "My partner and I are planning to come to Dublin for an early Valentine’s Day weekend from Feb 8th to 12th to explore the area. "As I was searching for places to stay, I came across your stunning hotel and would love to feature you in my YouTube videos/dedicated Instagram stories/posts to bring traffic to your hotel and recommend others to book up in return for free accommodation." In the email, Darby stated her social media reach – 87,000 YouTube subscribers and 76,000 Instagram followers – and said a previous collaboration with Universal Orlando in Florida was "amazing for them!". The email was posted on The White Moose Café’s Facebook page. Darby’s identity was concealed, although she was later exposed on social media as the author. The venue later stated on its social channels that it was banning "all bloggers from the business". Darby posted a video on YouTube in which she is seen crying as she discusses how her business works and talking about her embarrassment at the White Moose episode. The episode has generated much debate on social media, with some criticising Darby and others saying The White Moose went too far. The White Moose has gained a reputation for being outspoken on social media. In 2015 it caused controversy when it banned vegans. Dan Neale, co-founder of PR agency Alfred, said the incident shows that influencer marketing "can only continue to work if it matures". "All parties (agencies and brands, to influencers and agents), need to support that development and are responsible. "There is a need for this space to become far more professional, and in this example, that is from all sides of the debate. Bluntly, this is becoming an issue, from the way brands or agencies interact with influencers and agents, through to deadlines and deliverables." Neale said transparency "is key to this form of marketing". "If audiences don’t trust the authenticity of what they see, the impact will be null and void. Followers need to understand the nature of the relationship between and brand and influencer, and this is beyond simply using #AD." Kaper MD Chris McCafferty said: "What a sad story – there are no winners here and I have sympathy for both sides. 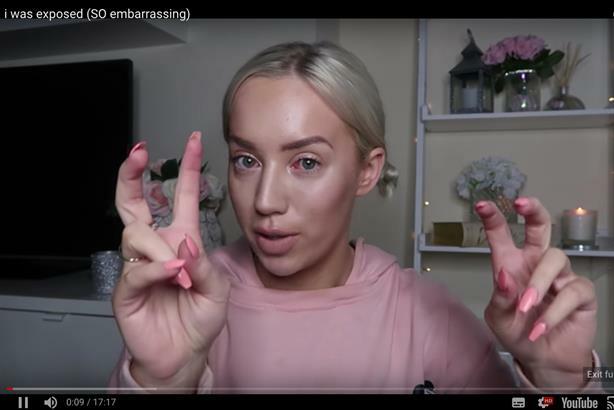 "If influencers and their representatives can’t clearly and simply explain the benefits of being featured on their channels, we will see more rejections and more public outings. Smart influencers will continue to thrive. Blaggers might need to find a thicker skin." Vikki Chowney, director of content and publishing strategies at Hill+Knowlton, said the episode highlights "the differences between professional influencers and those trying to see what they can get for free". "To give this ‘blogger’ the benefit of the doubt, there also might be an experience element to factor in; she may just be learning her trade. "The vast majority of influencers behave far more professionally than this, and don’t go out courting free stuff with no sense of the benefits for the partner in question, or even an outline of what they can provide in return. For me, it would be unfair to tar the industry with the same brush." However, Philip Brown, head of social influencer marketing at agency Come Round, said the incident doesn’t necessarily mean that such collaborations, when handled correctly, can’t work for both parties. "There are several hotels across the world that have built successful relationships with influencers in exchange for exposure. If the hotel does their research and finds that influencer and their audience is a good match for the hotel, they will often consider the opportunity, and when done right, it can often lead to a win-win situation for both parties. "This news won’t change this practice being beneficial and occurring often in the future: it’s a part of influencer marketing that has been around for longer than most Instagram influencers have, dating back to when blogs were the main focus point of influencer marketing. As long as there is a good match between the hotel and the influencer (and their audience!) – this is a form of influencer marketing that will continue to be used actively going into 2018."